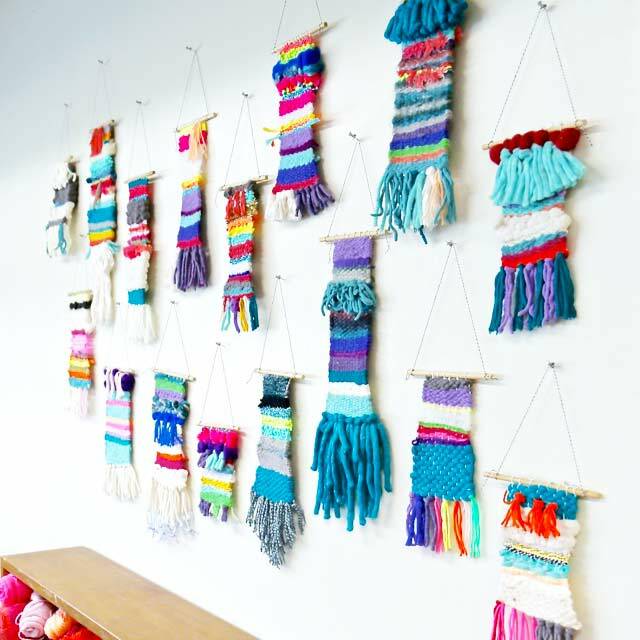 We loved using sleek + stylish ~ Hand Made Modern wooden looms and a wide array of natural + synthetic yarns and fibers! Each artist created a color + texture pallet to inspire their individualized creation. This process was calming, peaceful, and of course very social. 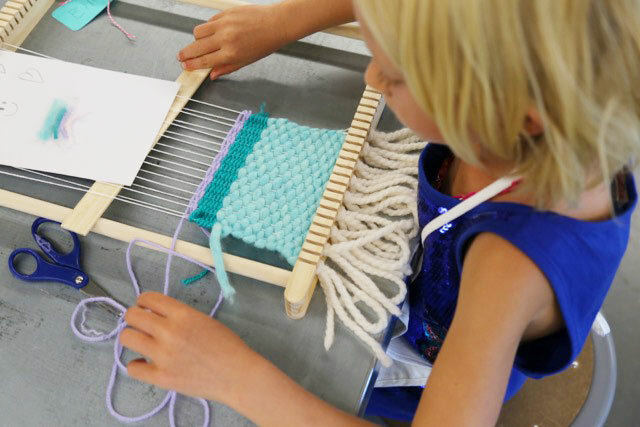 Let’s be honest, young artists didn’t want to stop the weaving process when each of the six-week workshops ended. Looking forward to the next time we offer this hands-on workshop! Love how unique each piece was to each artist. Let’s just say personalities shined + showcased in the process and finished product! 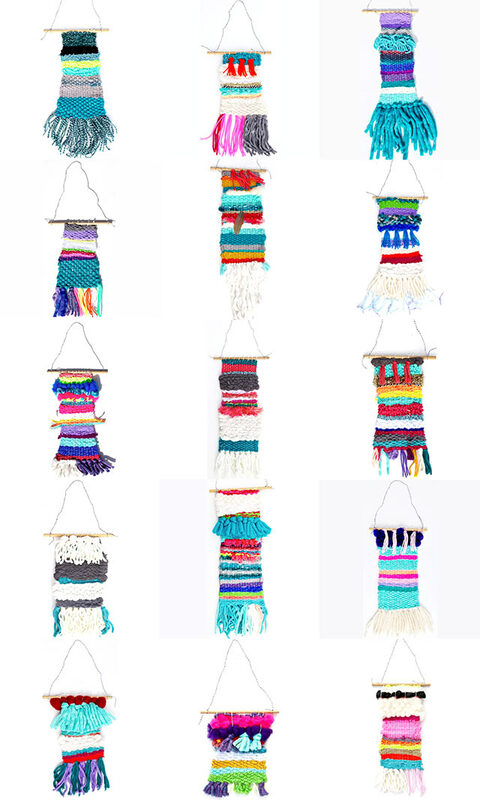 If only these weaving could tell the story of the process and share the little conversations happening in the studio, oh wait, they do just that! Look close and listen! Think you’ll be amazed at the creations of these precious + little hands! 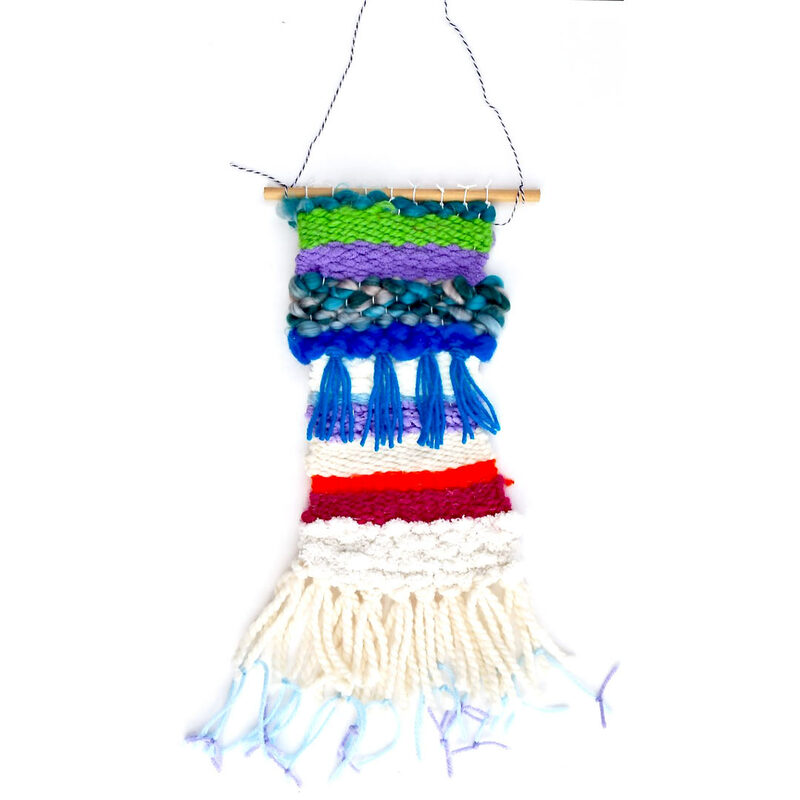 Okay, does this weaving pretty much match the personality of this artist!?! 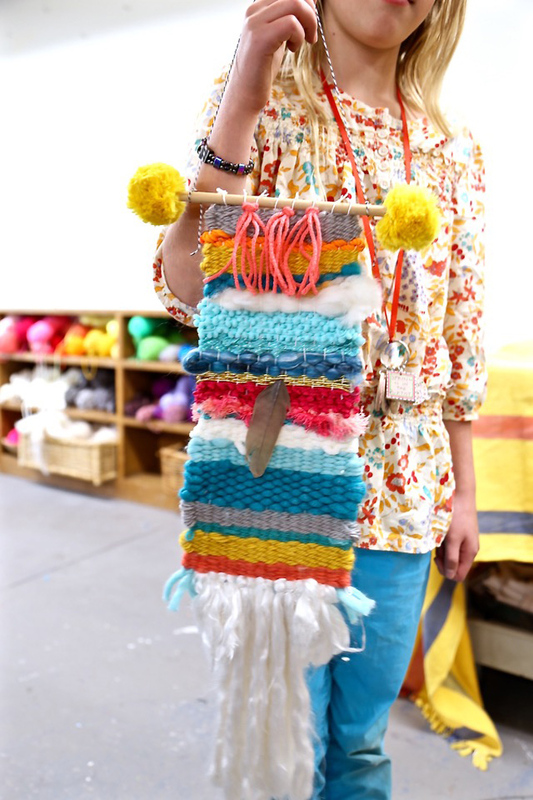 After weavings were finished, artists added a wooden dowels + pom poms to accent their mini masterpiece! 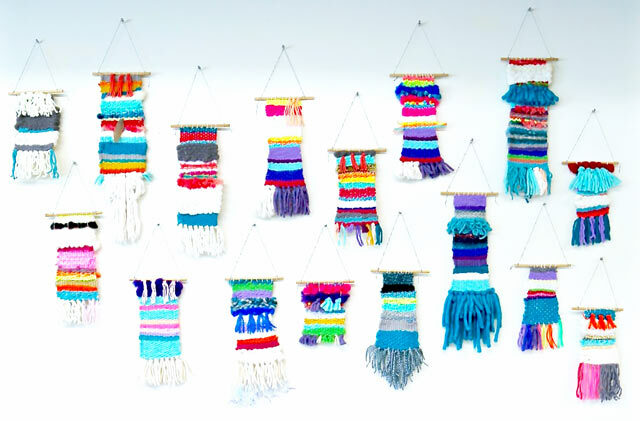 My daughter’s weaving shines in the entry of the art studio and it makes me smile every time I see it! 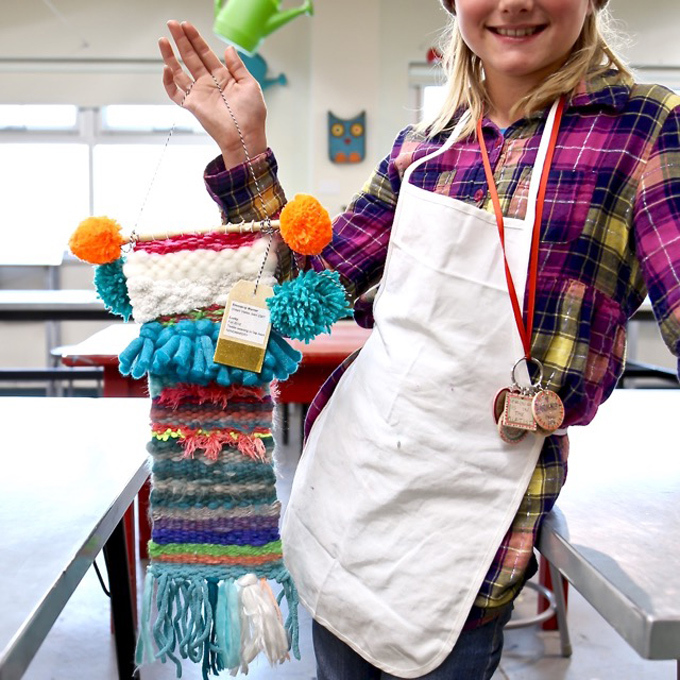 A handmade treasure created by her little hands at age seven. These are the things we’ll keep near and dear to our hearts as our children grow. 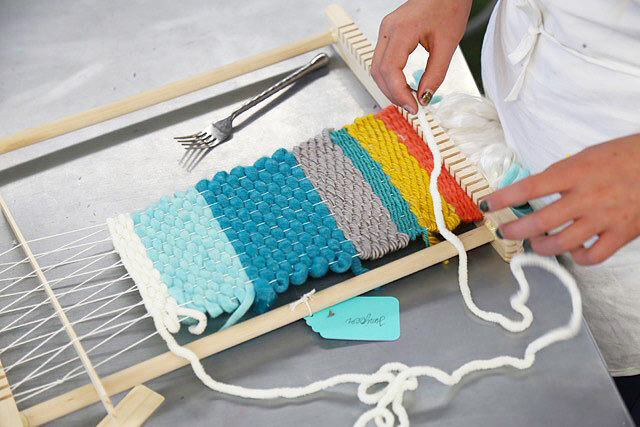 Discover HANDMAKERY on Instagram + Facebook + Pinterest + Mailing List + Enroll via handmakery.com! Look for us in the Winter 2018 Mountain Parent Magazine, celebrating life in the Roaring Fork Valley, Colorado! Come take a peek inside our lovely + NEW + modern + bright + colorful art studio now located at 449 Main Street in downtown + historic Carbondale | CO! Until next time, keep creating and don’t forget we host the best hands-on + personalized birthday parties!!! 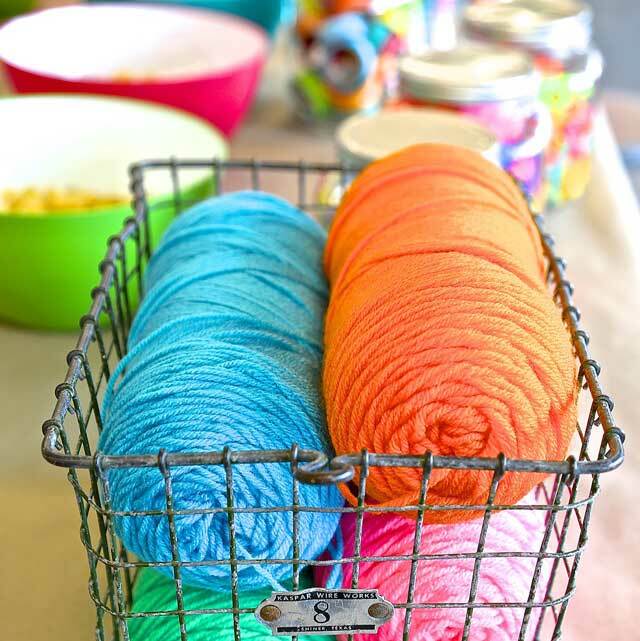 See for yourself on Instagram and take a peek at our NEW photos on handmakery.com!